But who was behind the mask? The 70th annual primetime Emmys were handed out last night, and while plenty of hardware was handed out, viewers found themselves preoccupied by an unexpected face in the crowd. 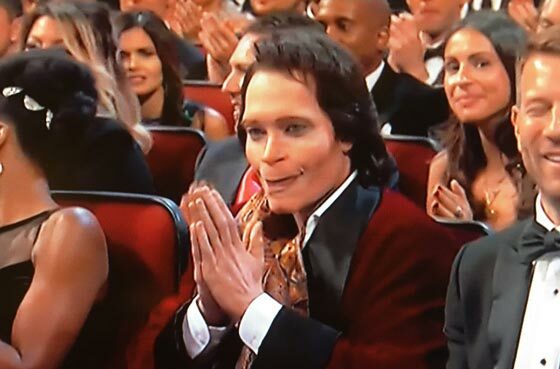 Viewers spotted fictional character Teddy Perkins, from the second season of Donald Glover's Atlanta, seated in the audience. The appearance of Perkins didn't go unnoticed by Bill Hader, who gave him a hug on his way up to the stage to accept the award for Outstanding Lead Actor in a Comedy Series for Barry. This led many to assume that Glover had reprised his role for the evening's ceremonies, only moments before he was spotted in the audience dressed as himself. As Insider points out, things got even weirder after the awards show, with Glover posing for a photo at Governor's Ball with Atlanta co-stars Brian Tyree Henry, Lakeith Stanfield and a fourth person dressed as Perkins. Glover's Atlanta was nominated for 16 Emmy awards this year, winning only three at last weekend's Creative Arts ceremonies.